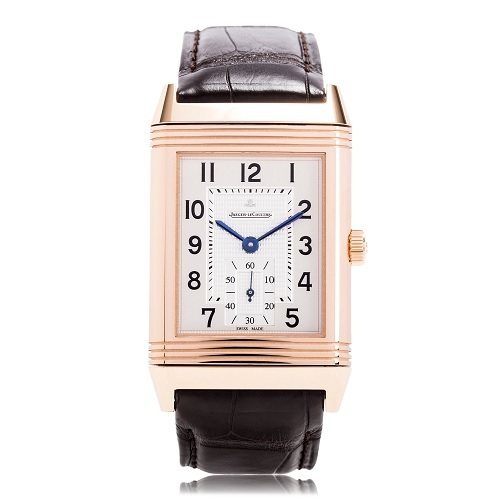 Its reversible case, its pure, geometrical shapes and its instantly recognisable style place the Reverso firmly in the highly selective category of authentic fine watchmaking icons. This timeless classic appears here in a resolutely masculine large-size version. Its sleek elegance is highlighted by a refined silver-colored dial, while the transparent case-back reveals the movement. Water resistant : 30 meters / 100 feet. Monday – Saturday 9:30AM – 5:30PM.